Are you looking for a skilled, experienced dentist that does dental implants in the Chelmsford, MA area? 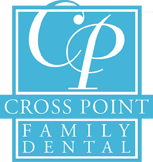 Crosspoint Family Dental specializes in a wide range of procedures including dental implants, bridges, dentures and much more. We offer a friendly, comfortable office environment while working to achieve your dental and smile goals. Preventative – Implants can prevent bone loss and gum recession that often occurs with bridges and dentures. Cost Effective – One tooth is replaced instead of the several necessary to install a bridge, implants usually cost less than traditional bridgework. Comfortable – Implants function very similar to natural teeth and are comfortable and stable. Appealing – Implants are cosmetically appealing. We match your dental implants to the natural color of your existing teeth to make it look and feel like your other teeth. Preservation – Missing teeth can cause bone shrinkage, which may result in a receding jaw line and a change in the facial structure. Implants help prevent deterioration of the jawbone. Dental implants are a permanent and appealing solution to replace missing or extracted teeth. They are preferred over alternatives such as bridges because additional teeth do not need to be moved or altered. Crosspoint Family Dental offers dental implants in the Chelmsford, MA area. We have appointments Monday-Friday and on Saturdays by appointment arrangement only. Call us today at (978) 459-6467 to schedule an appointment or if you have questions.